Almost all modern car engines use a lot of different car sensors to get the right information to calculate a perfect air fuel mixture for the best fuel economy in all situations. The downside of this is that the car sensors can get worn out and it may cost a bit to replace them. But which sensors are fitted in your vehicle and what is the function of them? In this article, you will learn all kind of common car sensors that you can find in your car engine. You will find more information and pictures of all car sensors further down in the article. The shape, price, and location can differ depending on your car model, this is general information for common cars. The coolant temperature sensor measures the temperature of the coolant. It is often located high in the engine bay at a coolant hose or directly screwed into the cylinder head. You can have several coolant temperature sensors in some cars. You do often have one separate for the cooling fan and it can use a separate sensor for the instrument cluster and the engine control module. The cost of the sensor itself is not that high, but it can take some time to replace it, which may result in a bit high costs if you let a mechanic do it for you. The intake air temperature sensor measures the air temperature flowing into your car’s cylinders through the intake pipes. It is often integrated with your MAF sensor, but it can also be externally fitted on your intake pipes, at the manifold or close to the air filter box. If you have a turbo engine, it is most likely fitted on the intake manifold. The cost is often quite cheap and the replacement is most likely pretty easy. To find more information about this sensor, check Intake air temperature sensor. 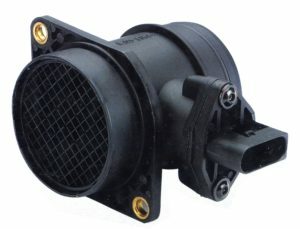 The mass air flow sensor measures the air flowing into your engine. It does often use a hot wire that gets cooled down by the air flow, then it converts the resistance to air flow mass and gives the information to the engine control unit. You will often find the air flow sensor fitted on your air filter box. The cost of a new MAF sensor can be pretty high, but the replacement of the sensor is often very easy. 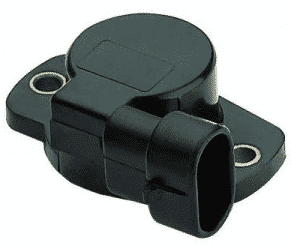 The manifold absolute pressure sensor measures the pressure inside the intake manifold. It can both feel under pressure and overpressure. It is often used instead of a MAF sensor in American cars. When you have a manifold pressure sensor, you do often not need a boost pressure sensor. The manifold absolute pressure sensor is most likely fitted to the manifold, or on a vacuum hose going from the intake manifold. 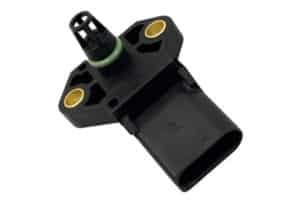 The price of the MAP sensor is often low and the replacement is often easy. The O2 sensors measure the oxygen in the exhaust gases coming from the engine. You do normally have two or more O2 sensors. You have one in front of the catalytic converter and one behind the catalytic converter. The front sensor measures the oxygen and adjusts the fuel mixture from it. The rear sensor is just a diagnostic-sond for the P0420 code. If you have a V-engine you do often have two O2 sensors per bank (Cylinder 1-3-5 and 2-4-6 etc). The O2 sensors are located at the exhaust pipe. The O2 sensors do often have a pretty high cost and the replacement can be difficult, due to they have a tendency to get rusty and hard to remove. The Knock sensor monitors knocks or detonations from the cylinder combustion chamber. A detonation can hurt your engine and pistons very badly, and to avoid that, the knock sensor is fitted on your engine block. If it recognizes a misfire, it will adjust the ignition or fuel to make sure the engine is not detonating. You do often have one or more knock sensors depending on the engine. They are often fitted directly with a bolt to the engine block. The knock sensors are often cheap but they can be a bit tricky to reach and replace on some engines. 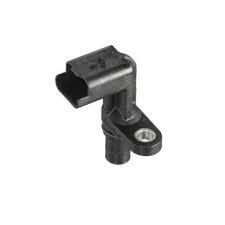 The crankshaft sensor sends signals to the engine control of the position of the crankshaft. The crankshaft sensor has an important role to get the right signal when it’s time for the injectors and ignition coil to fire. A faulty crankshaft sensor can cause your engine to totally stop and give you hard starting conditions. The crankshaft sensor is often located at the engine block, or at the gearbox case or at the front pulley depending on the engine. 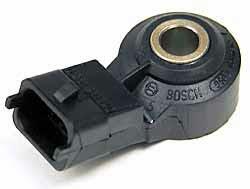 The crankshaft sensor itself is often cheap but can be difficult to reach and difficult to replace sometimes. The camshaft sensor measures the position of the camshafts. You do often have one camshaft sensor on each camshaft. The sensor is used to measure the position of the camshaft to let the engine control unit know what position the engine is. The camshafts rotate 1 turn when the crankshaft rotates 2 turns. That’s why a camshaft position sensor is needed and it will get a better fuel economy. A symptom of a bad camshaft sensor is often hard starting conditions. The camshaft sensors are often cheap and easy to replace, in some car models they are fitted inside the timing belt case and can be hard to replace. The fuel temperature sensor measures the temperature of your fuel. Depending if the fuel temperature is high or low, it may differ in how much fuel that is required for optimal combustion. 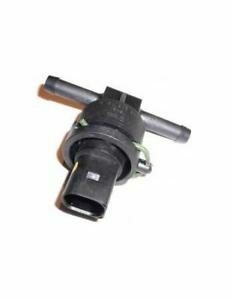 The fuel temperature sensor sends a signal to the engine control unit to increase or decrease the amount of required fuel depending on the temperature. 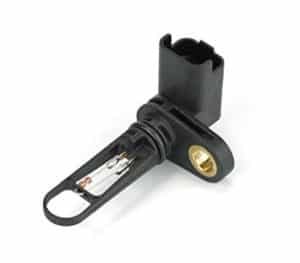 The fuel temperature sensor is most likely fitted on your pressure fuel line but can be fitted on the return line in some cases. The sensor can be quite expensive and are a bit messy to replace if you are not experienced. 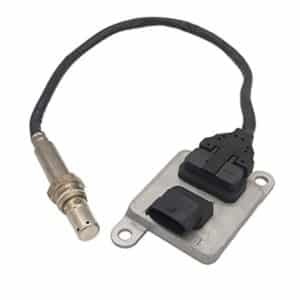 The Fuel Pressure Sensor measures the fuel pressure on your fuel pressure line. It is most likely fitted on your fuel pressure rail, but can sometimes be fitted on the fuel pressure line or at the fuel filter. The fuel pressure is important to measure, due to an increase in the pressure, would result in a richer fuel mixture and a low pressure, would result in a leaner fuel mixture. The sensor itself is often quite cheap but can be messy to replace if you are not an experienced mechanic. (A lot of fuel can pour out). 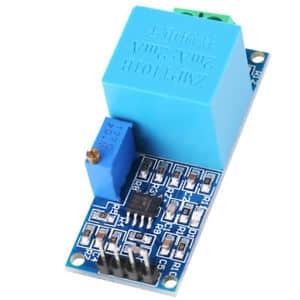 A Voltage Sensor is measuring the voltage in your cars electric system. This unit is often integrated inside the control modules and may not be possible to replace. If you have a faulty voltage sensor, you may have to replace the whole control unit in your car. A control unit can often be very expensive and require advanced programming to be installed in your vehicle. The Nox sensor measures the NOX volume in the exhaust gases. 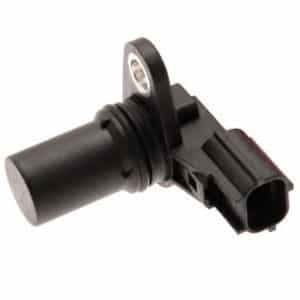 This sensor is not fitted in a lot of car models, you will typically find these in Volkswagen, Audi, seat and Skoda cars. The NOx sensor is fitted on the exhaust pipe and the control unit under a plastic cover. The NOx sensor can often not be replaced without replacing the control unit. The control unit and sensor is often very expensive and can be a bit tricky to replace, due to the sensor have a tendency to rust and get stuck. 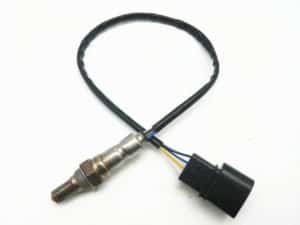 The exhaust temperature sensor is often fitted on diesel engines. It is used to measure the exhaust temperature before and after the particle filter to optimize the particle filter regeneration. 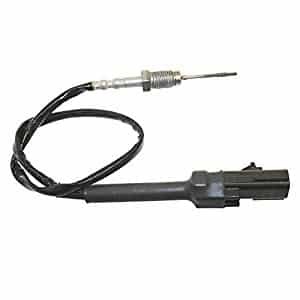 You do often have 1-4 exhaust temperature sensors depending on the car engine model. The sensors are fitted at the exhaust pipe and the exhaust manifold, and sometimes on the turbocharger. The sensors are often quite expensive and can be difficult to reach and replace, they do often rust and get stuck. 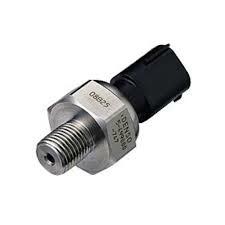 The boost pressure sensor measures the boost pressure on the pressure pipes. You will often find this sensor if your car is equipped with a turbocharger or supercharger. You will find the sensor at any place of the pressure pipes or at the intake manifold. 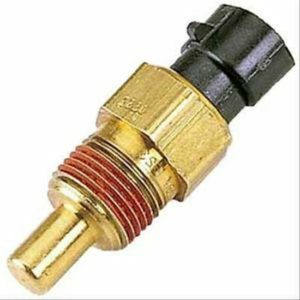 The boost pressure sensors are often cheap and are easy to replace on the most car models. On some car models, they can be hard to reach if fitted on the intake manifold. The throttle position sensor measures the angle of the throttle body to see how much you are accelerating the car. On some car models, the sensor is integrated into the throttle body and you have to replace the whole throttle body if it’s faulty. You do often have to make a basic setting after a replacement of the throttle position sensor. The throttle body can often be difficult to reach and if it’s possible to replace only the throttle position sensor, the price of the sensor itself is quite cheap. If you have to replace the whole throttle body, the cost will raise a lot.